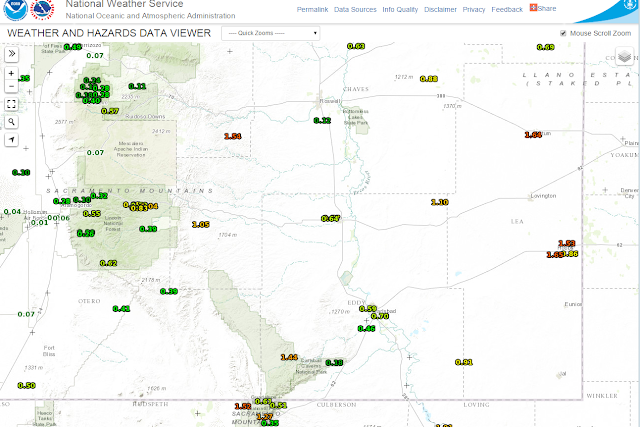 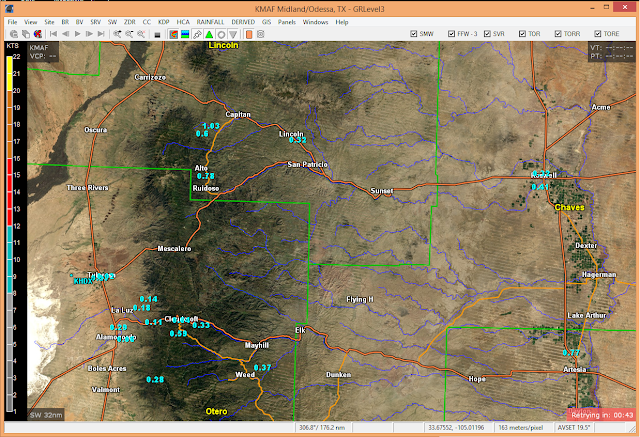 Flash Flooding On Dark Canyon & Rainfall Totals. 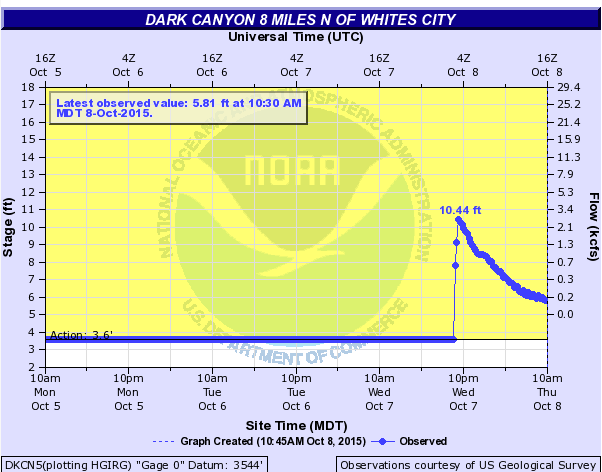 Normally Dry Dark Canyon Arroyo This Morning. 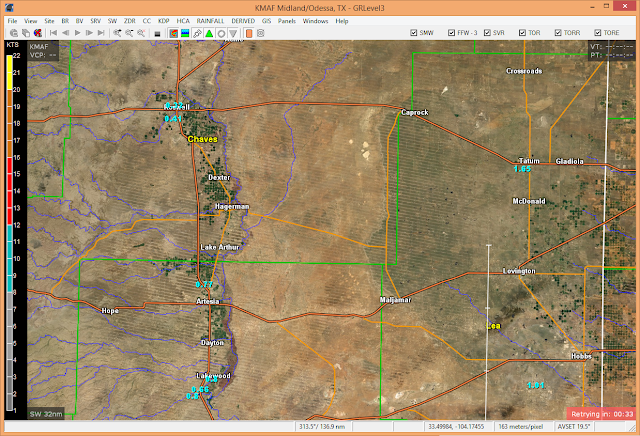 Boyd Dr. & Radio Blvd, Carlsbad, New Mexico. 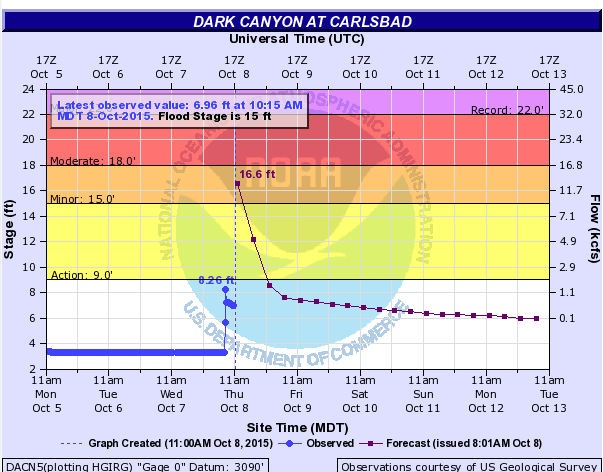 Flash flooding along the Dark Canyon Arroyo watershed southwest of Carlsbad and in the city itself is ongoing this morning. This runoff is a results of the heavy rains that fell yesterday afternoon into the overnight hours...and the past week. The water depth this morning at 7:00 AM MDT this morning was 5.7' and is forecast to crest at 16.6' by this afternoon. 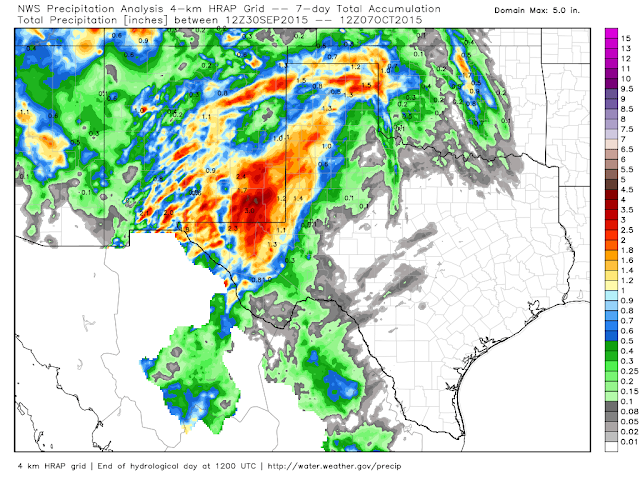 This may change if and when additional heavy rains fall over the local area...which are forecast to happen. 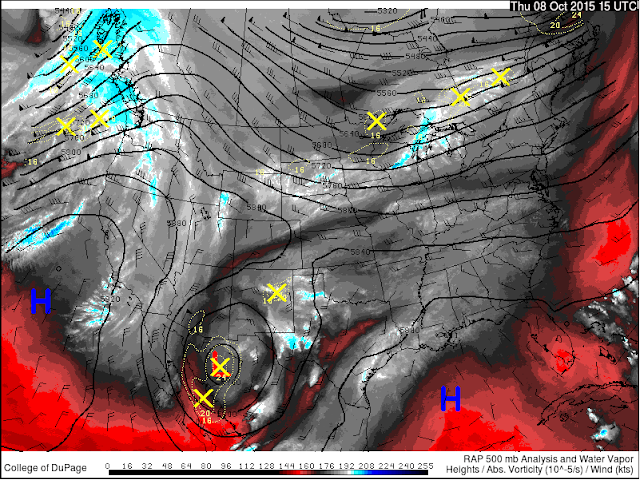 RAP 500 MB Analysis @ 9 AM MDT This Morning. 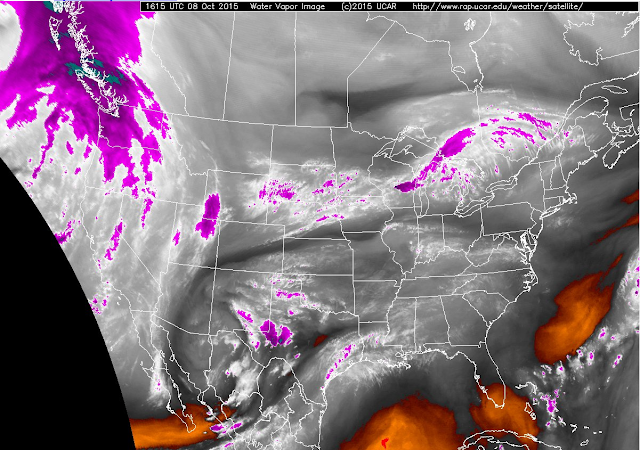 Water Vapor Satellite Image @ 9:15 AM MDT This Morning. GRLevel3_2.00 Radar Estimated Rainfall Totals. 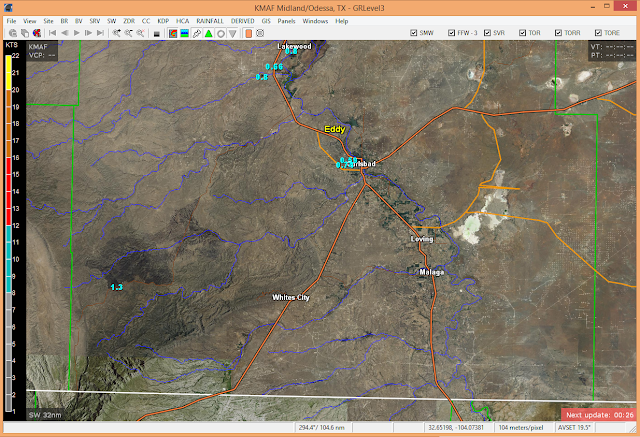 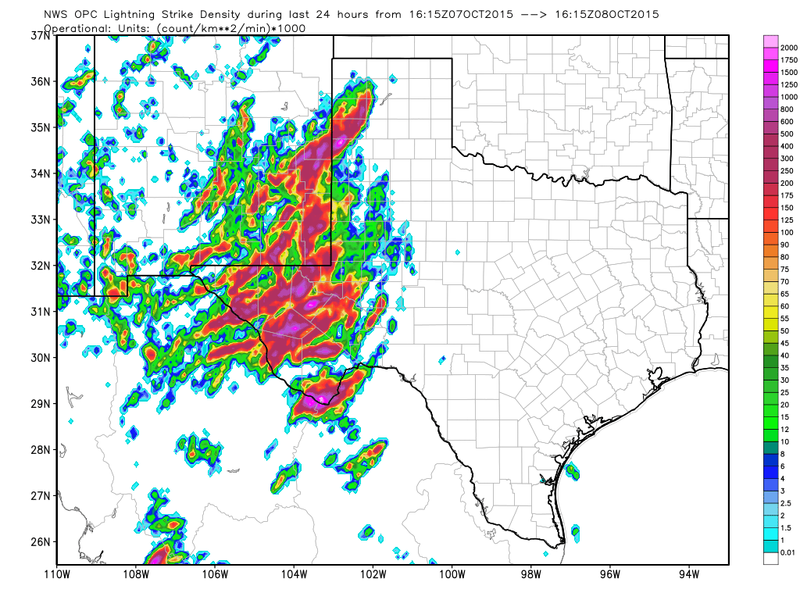 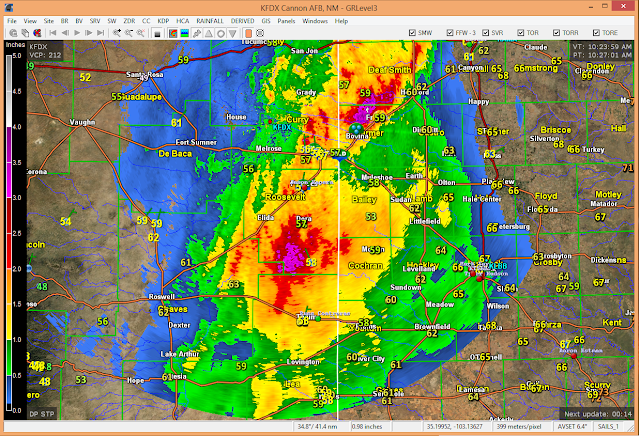 NWS Midland Dual Pol Doppler Radar 24-Hour Rainfall Estimates. 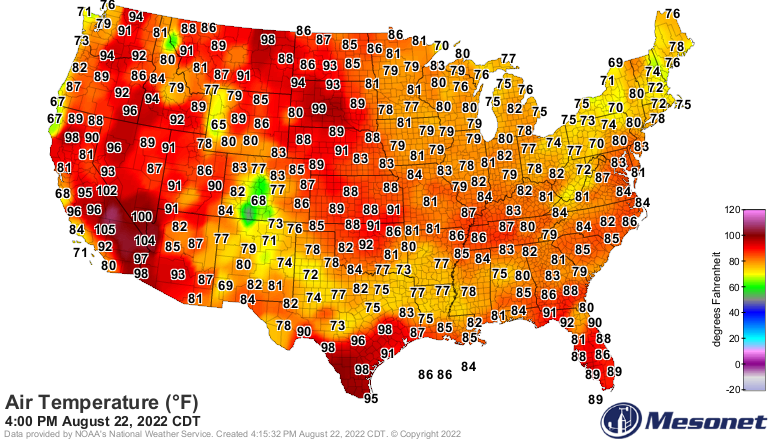 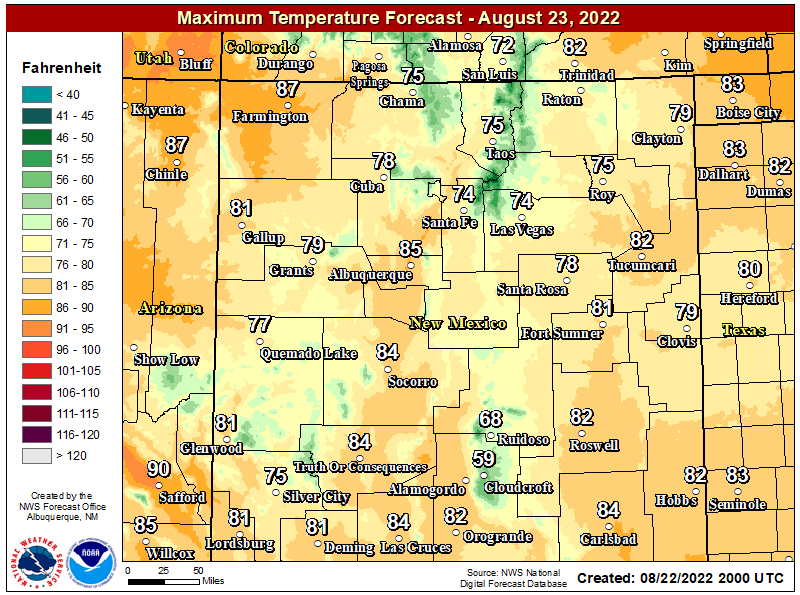 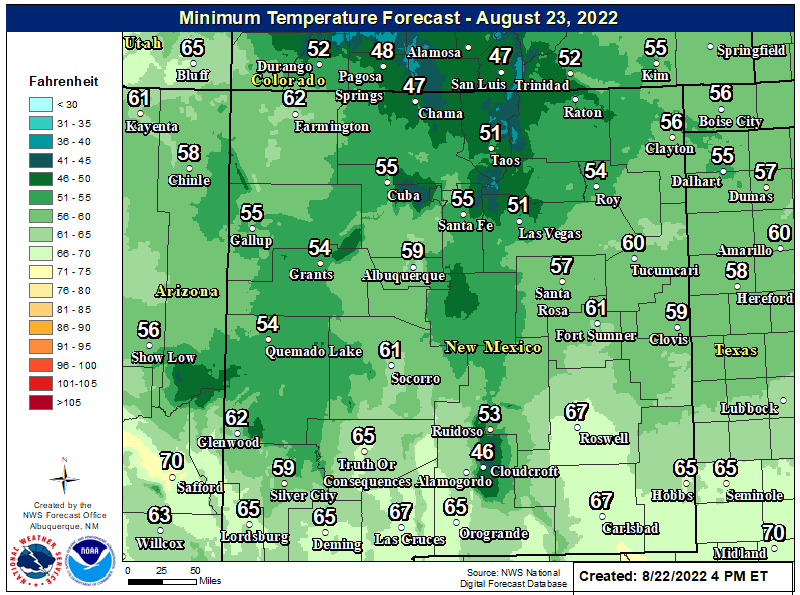 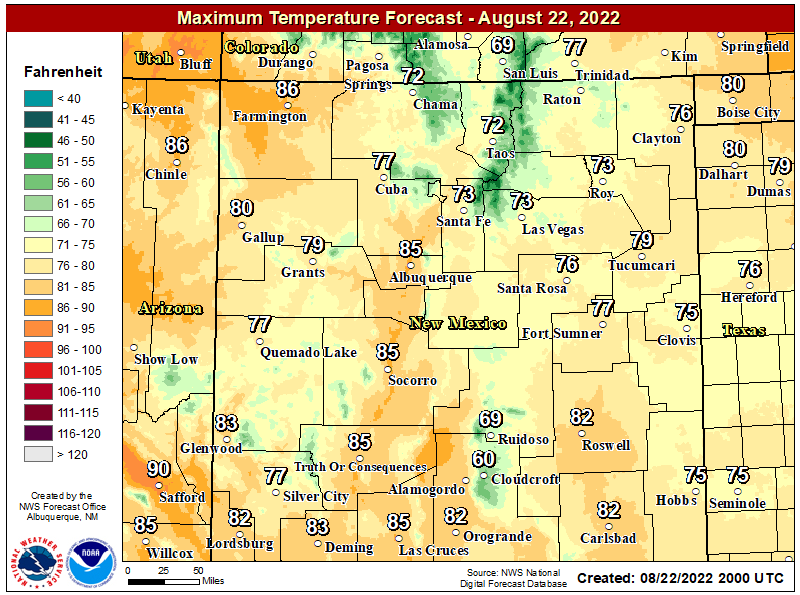 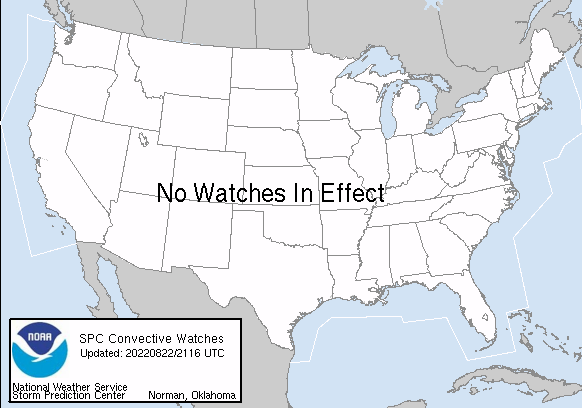 Valid @ 10:30 AM MDT This Morning. 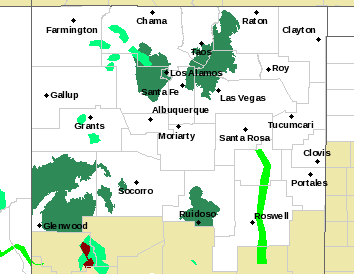 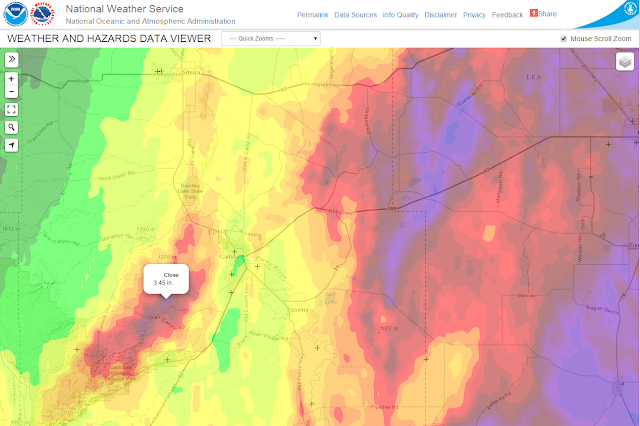 Cannon AFB Dual Pol Doppler Radar 24-Hour Rainfall Estimates. 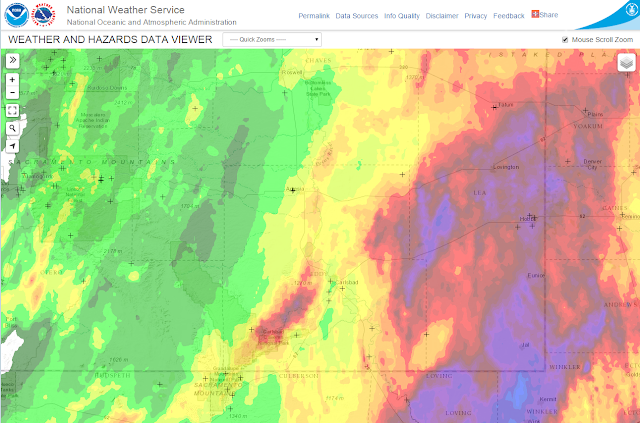 NWS Radar Estimated 24-Hour Rainfall Data. 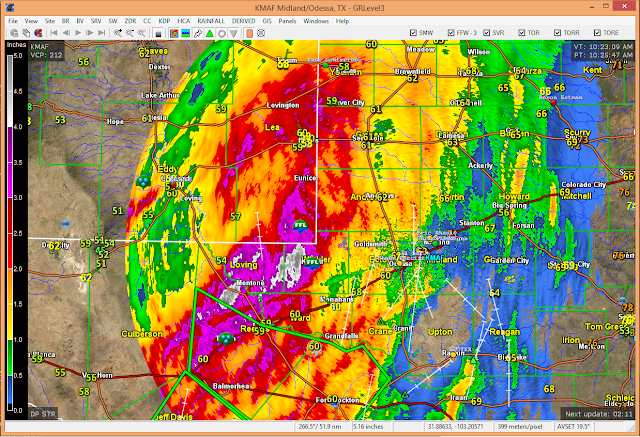 NWS MesoWest 24-Hour Radar Estimated Rainfall Totals. NWS Estimated 7-Day Rainfall Totals. 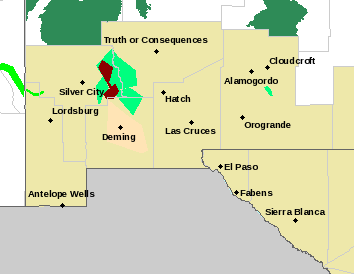 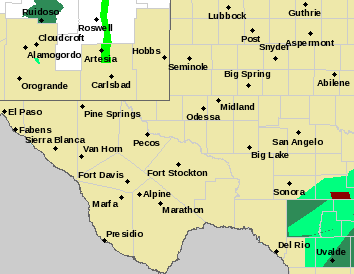 A Flash Flood Watch continues in effect for southeastern New Mexico and parts of West Texas for today into Friday. 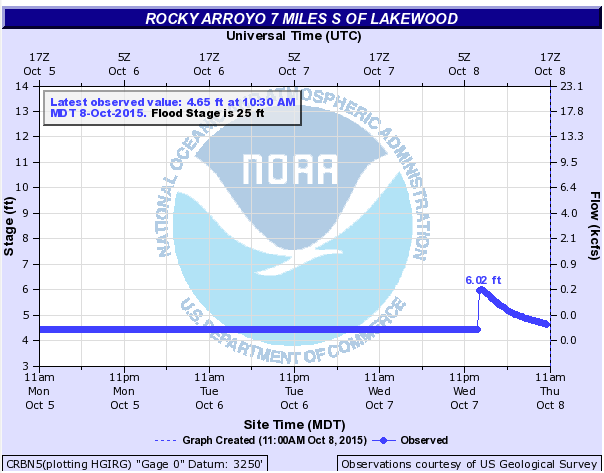 For now it appears that Dark Canyon and Rocky Arroyo have crested. 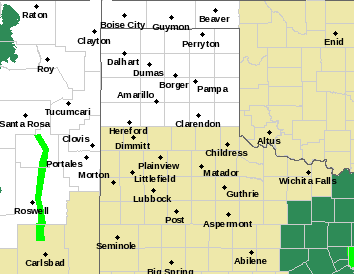 Although the River Flood Warning forecast additional rises on Dark Canyon later this afternoon. 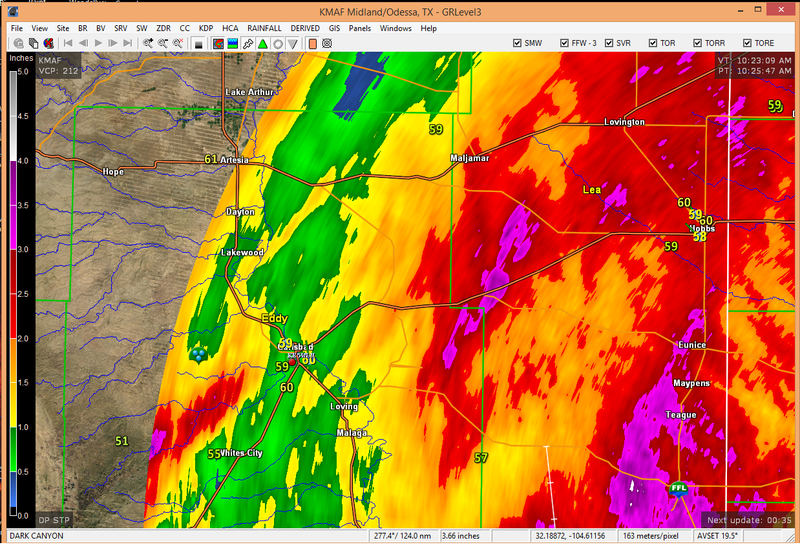 This will be especially true if additional heavy rains fall over this watershed southwest and west of Carlsbad. 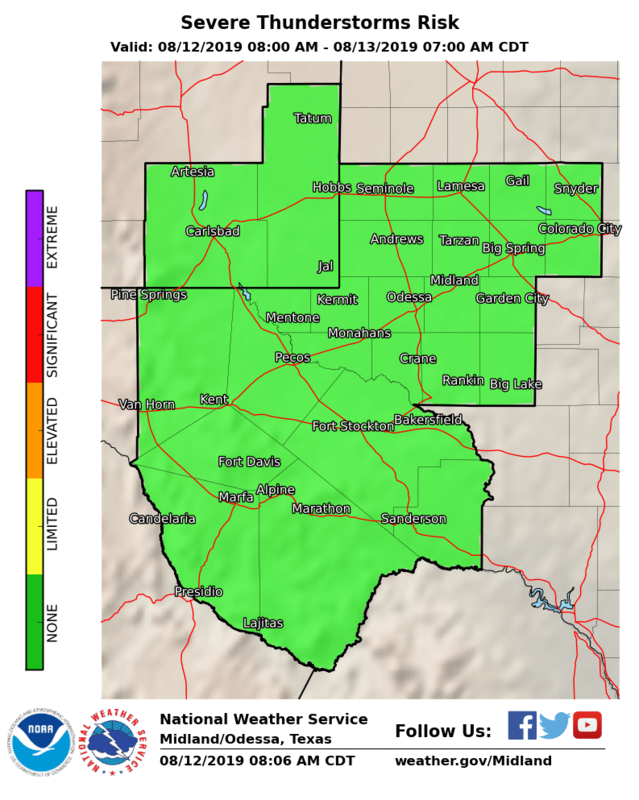 Which the latest National Weather Service forecasts indicate that this will happen today into the overnight hours and into Friday afternoon. 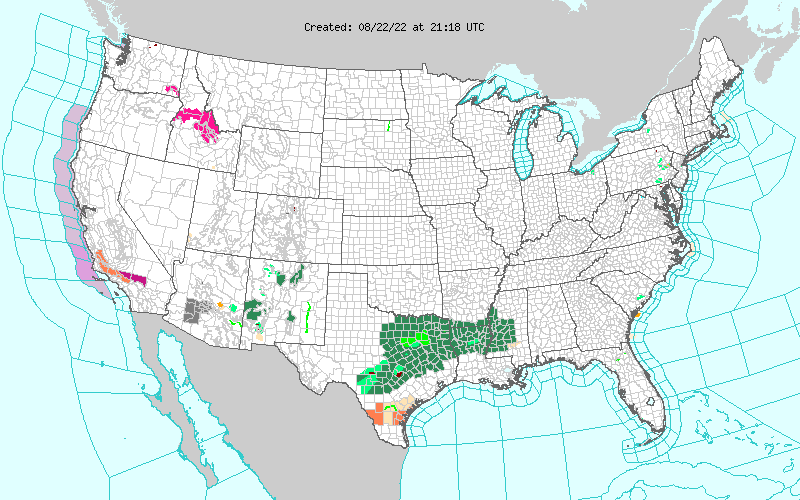 We have a 70% to 80% chance for seeing more thunderstorms and heavy rains during this time frame.